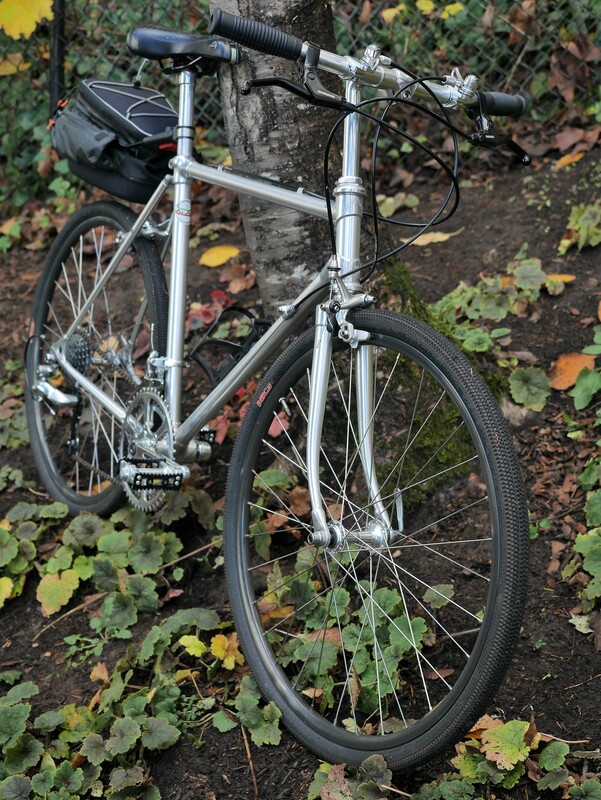 My mid-80’s ALAN bicycle is one of my favorite rides. For awhile it left my stable to seek accommodation with a small-of-stature family member, as it is a tiny bike with 24 inch wheels. 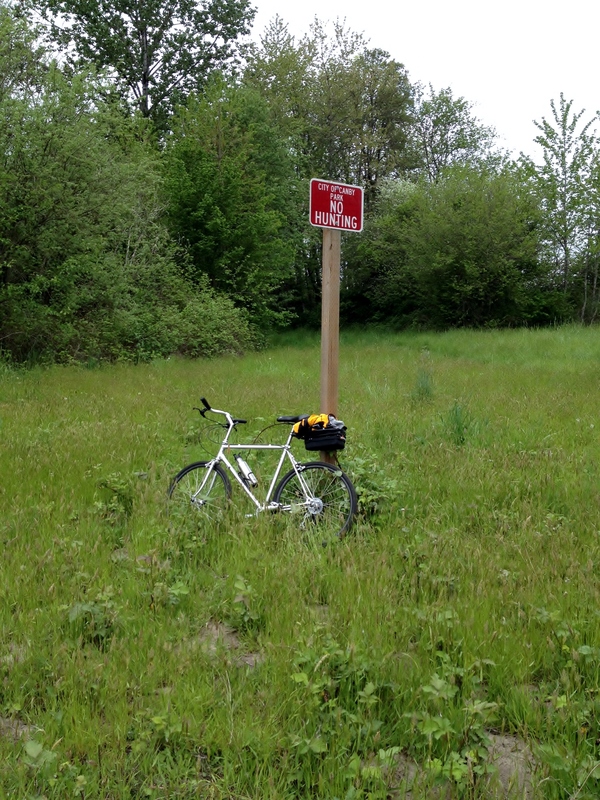 The bike didn’t work for that rider, so I regretfully (NOT!) accepted the bike back last winter. For the past months I have happily ridden this bike all over the place. It’s so little that I can easily transport it inside my Highlander with an internal bike rack. Weighing in at 19 lbs means it can be lifted and carried just about anywhere, so it’s also a perfect bike for exploring unusual terrain involving a portage or two. But, as you can see from the above photos, I had set this bike up for my family member with a simple 1×7 indexed drivetrain and a very upright riding position. I had also used a 152mm crankset to accommodate the bike’s lower 25cm BB height, and that meant a lot of spinning. 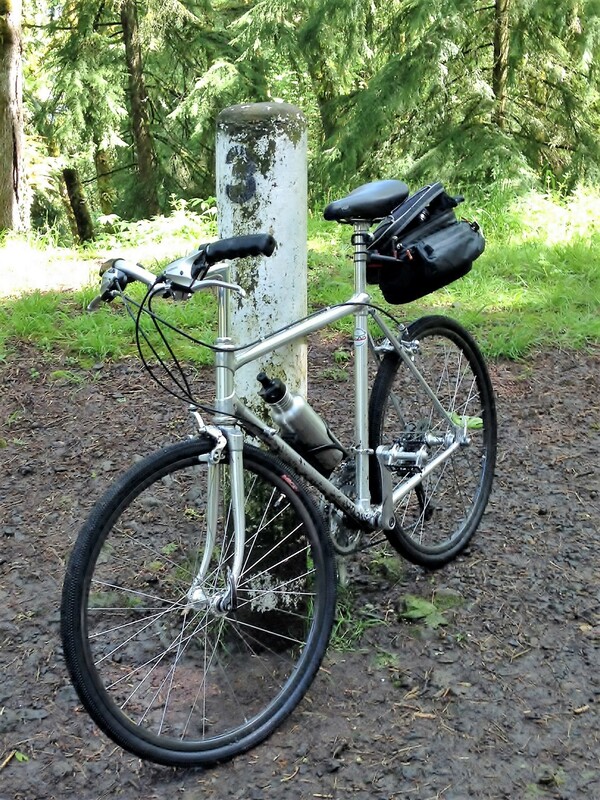 As I contemplated changes to make the bike more sporty and with better ergonomics for my own enjoyment, I realized that I hadn’t given the bike a complete overhaul since acquiring it 5 years ago. 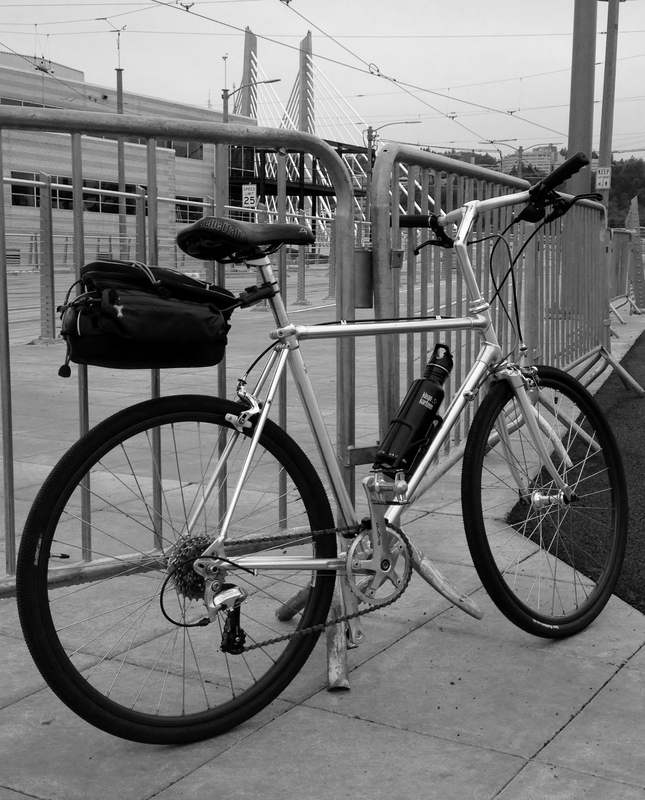 The bike went through a number of iterations during that time, including several setups with drop bars and city style bars, but even after all that fun experimentation, the hubs, bottom bracket and headset hadn’t been touched since 2013. 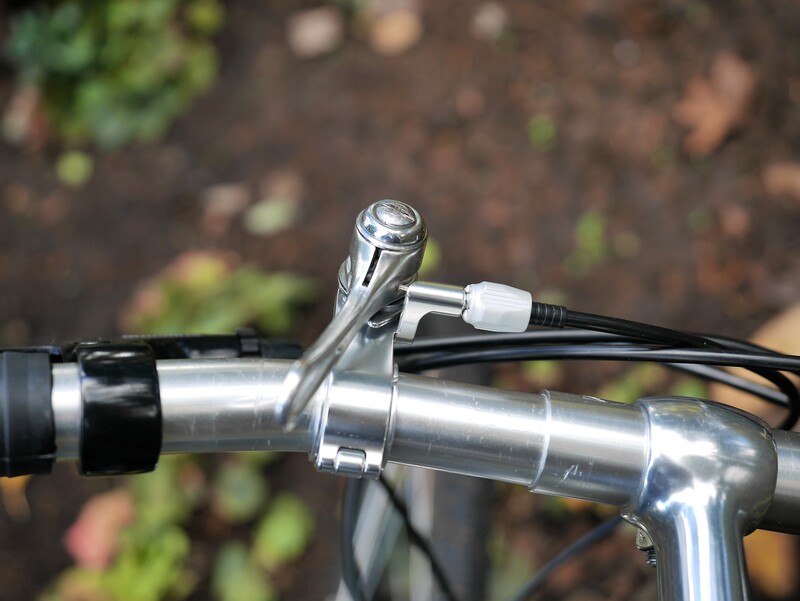 ALAN frames are built with aluminum tubes screwed and glued into steel lugs. 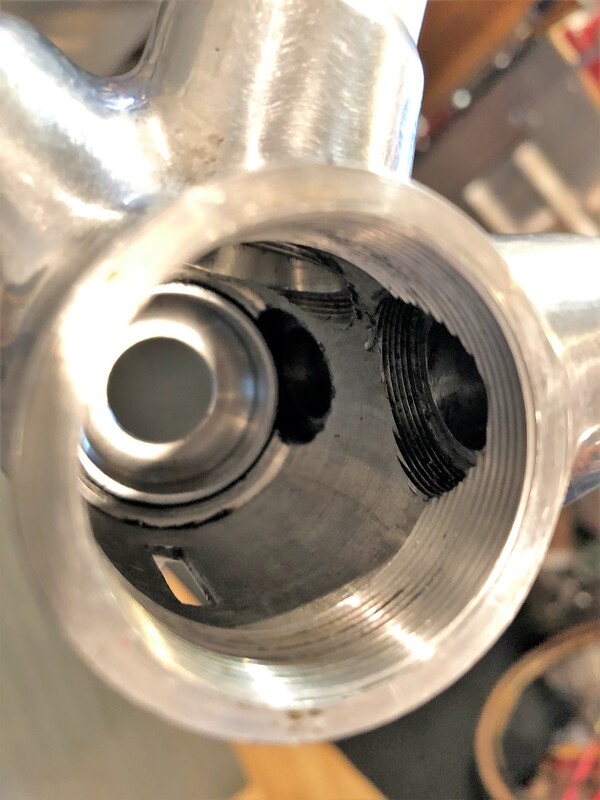 When I stripped the bike down for an overhaul, I wanted to also examine all the lugs to make sure the frame was holding together after over 3 decades of use. 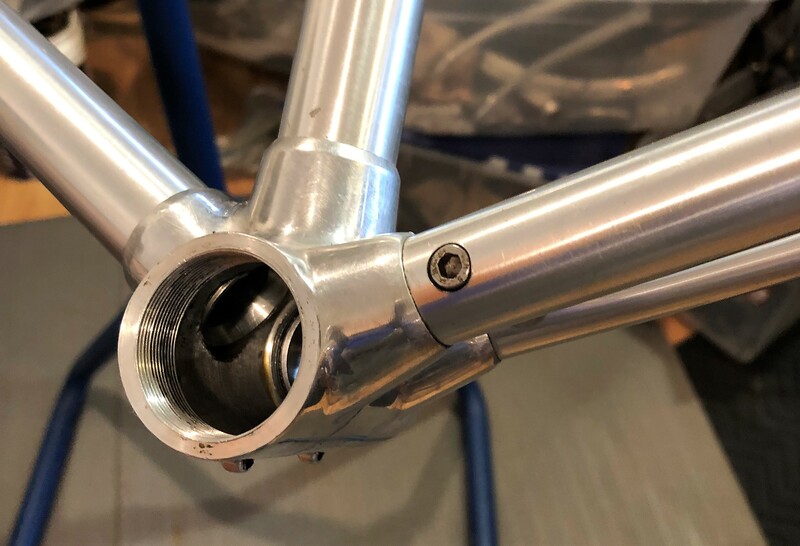 The bottom bracket shell provided my first look at how ALAN bikes are constructed. The main tubes appear to have flutes, which I can only imagine were installed after the straight portion of the tubes were screwed and glued into the BB shell. 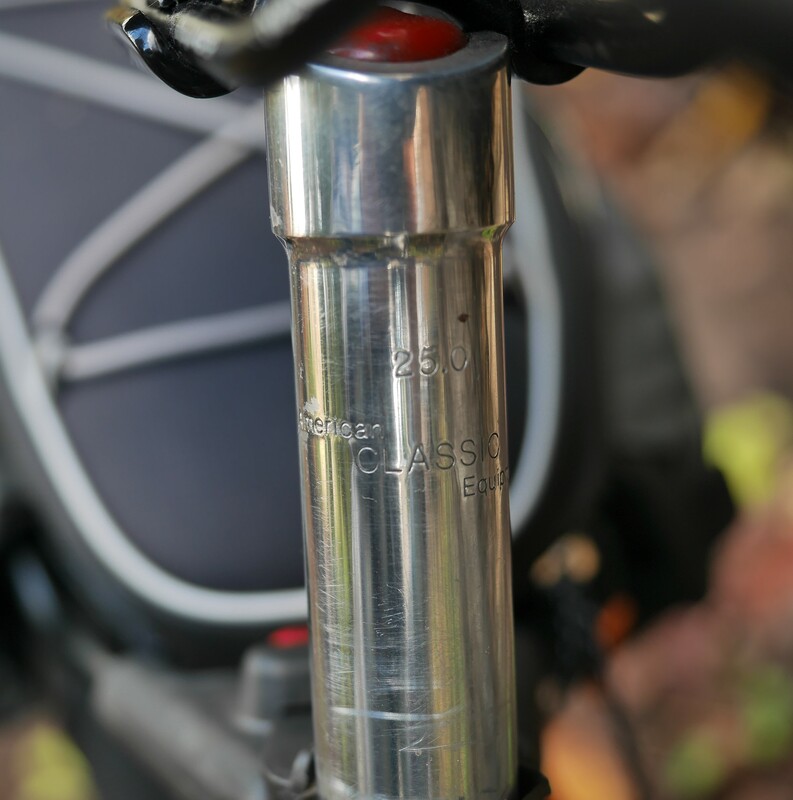 You can see from the 2nd photo above that the BB shell was also threaded to accept the chainstays, but those tubes do not have flutes, but are simply the straight tubes threading into the shell. As part of the overhaul I used my torque wrench to check the bolts joining the stays and brake bridges to the frame and lugs. I haven’t been able to locate the torque setting recommendations for these bolts, so I intended to adjust any bolt with a lower torque to its corresponding bolt with a higher torque. However, all the bolts were adjusted evenly so no changes were necessary. 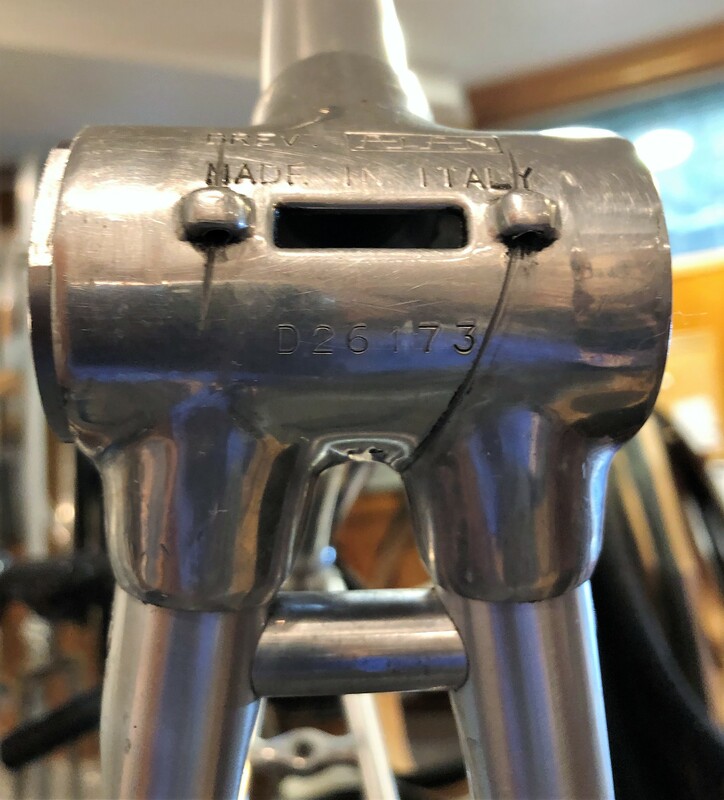 As I examined the frame I noted the SN on the bottom bracket: D26173, and wondered if this was a date code. 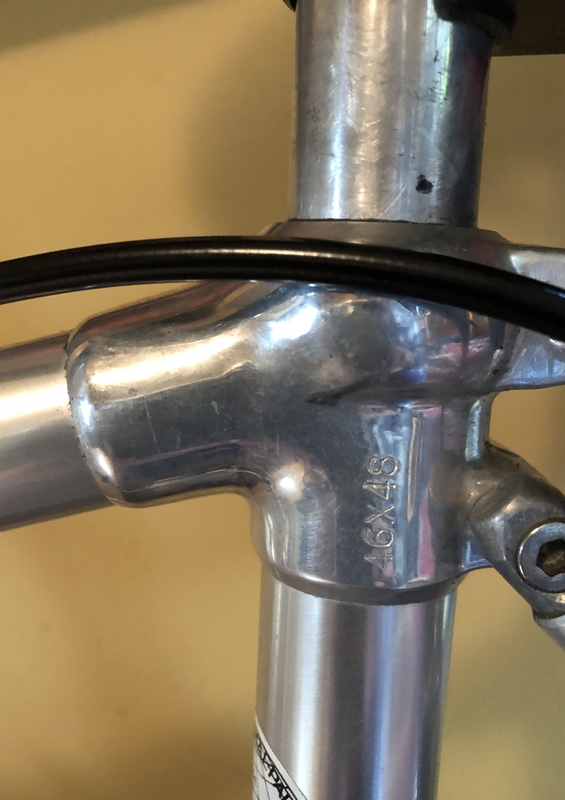 Based on my research, the BB number is not a date code, and it appears that some ALAN frames had a date code on the seat tube or on the seat tube lug. 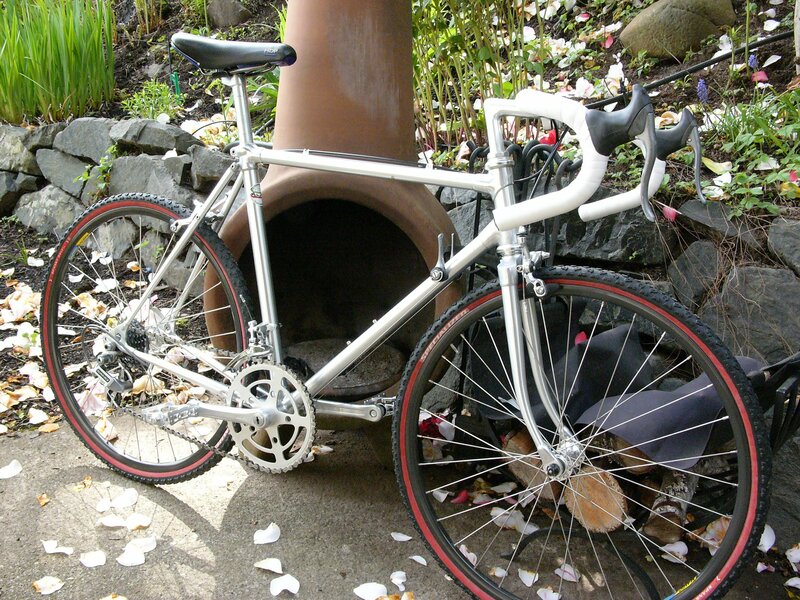 This bike had a frame dimension code on the seat tube lug: 46 x 48, but no other SN. 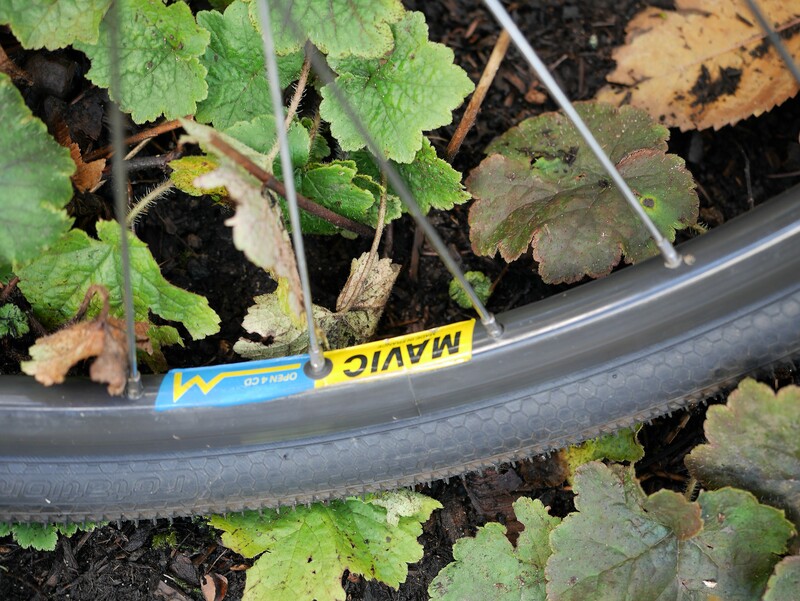 And, its ALAN “headbadge” is on the seat tube. 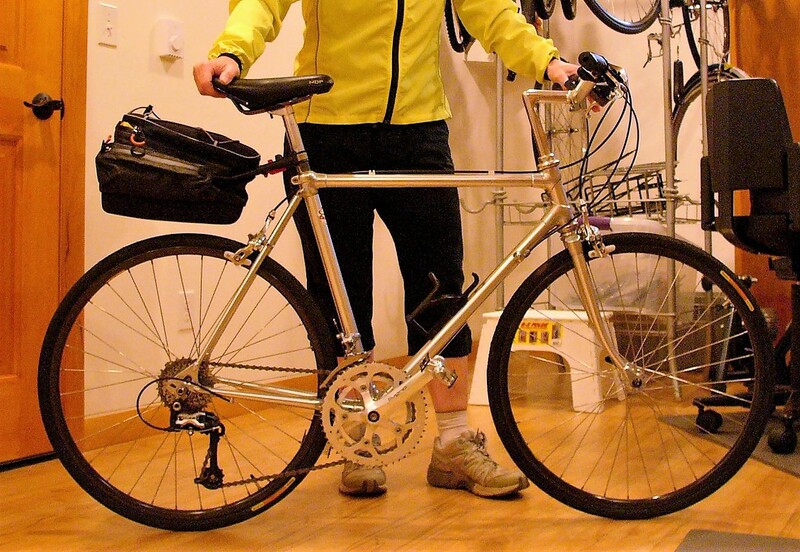 Fortunately, it is also possible to date a bike by its components. 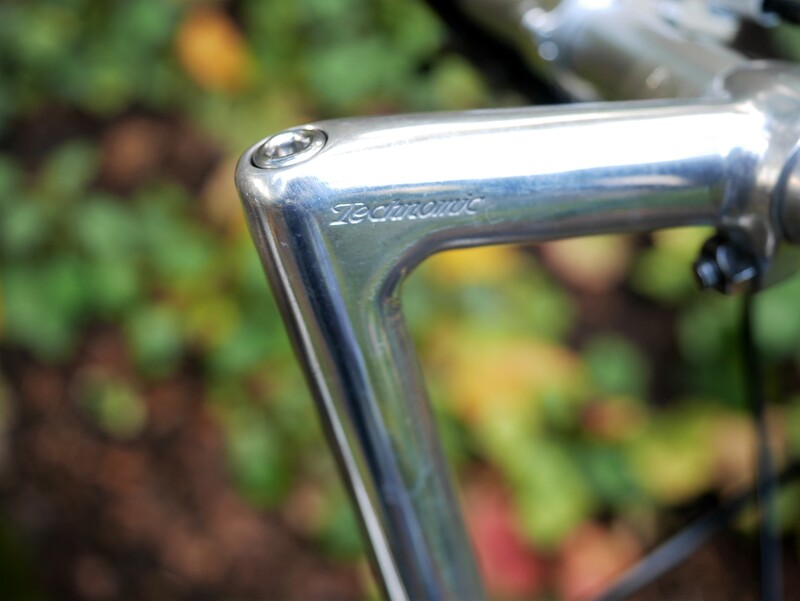 The Shimano Dura Ace brake calipers were marked with a “KK” code, which means the brakes were manufactured in November of 1986. So, I would surmise that this ALAN is a 1986 or 1987 model. Once I overhauled the BB, headset, hubs, and pedals, it was time to think about the changes I wanted to make. I swapped out the tall dirt drop stem for a less tall Nitto Technomic stem paired to a Nitto flat bar that I cut down (5 cm off each end) to make the bar more suited to this little bike. But the real Tour de Force was installing Simplex Retrofriction shifters on Velo-Orange thumbies. 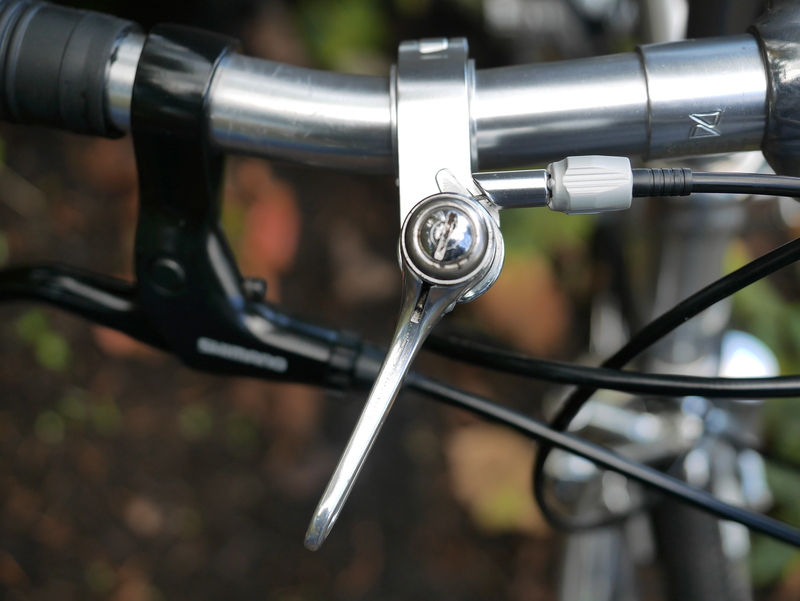 I hadn’t used these much praised shifters before, and was kind of skeptical about how they would perform. How could they really be better than SunTour’s ratcheting shifters? Simplex Retrofriction shifters are not a ratcheting mechanism, but instead have an internal spring acting as a directional clutch. Using them was eye opening. These shifters are far more subtle and precise that any others I have used. The only downside is the ridiculous amount of travel when used with an 8 speed drive train, as you can see from the 2nd photo above. That’s a small price to pay for the silence and precision of this amazing component. I wanted to use a crankset with longer arms to provide for a more comfortable cadence, but not too long given the bike’s low BB height. I sourced these NOS TA 160mm cranks from eBay, with 48/38 rings. I was worried that the T.A. 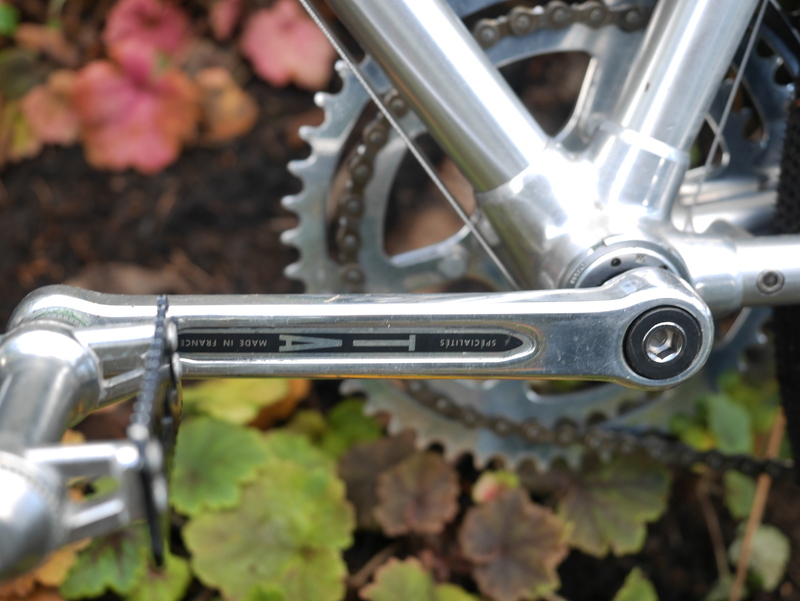 cranks would sit too far inboard on the Dura Ace 115 mm spindle. They worked out well in this case, but with only a tiny bit of clearance from the drive side chainstay. 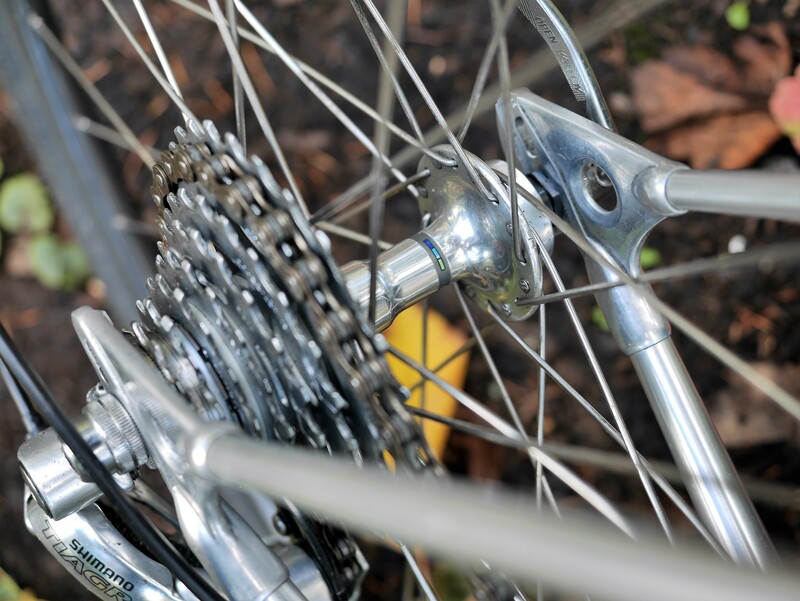 The bike’s very short chain stays means that one must not cross-chain this drive-train, but that is also sometimes true of bikes with longer chainstays. 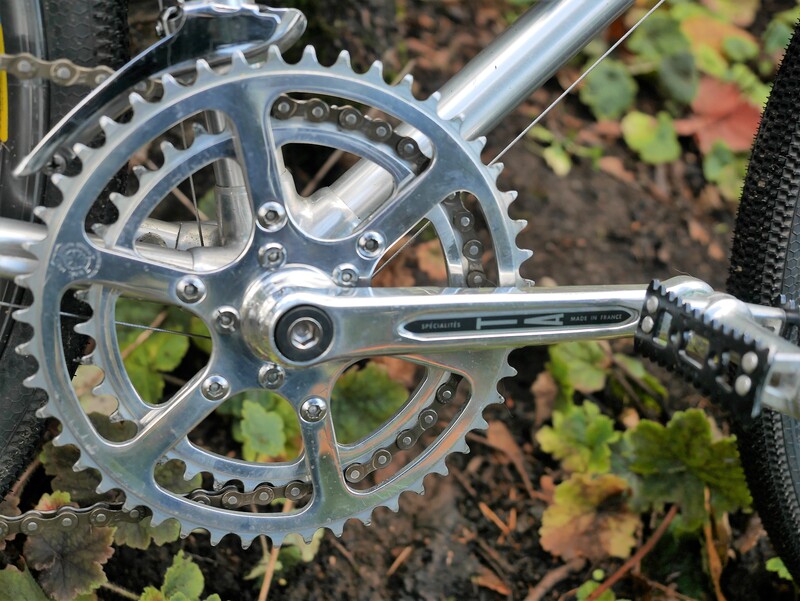 In practice, this crankset was just right for this bike, although I had to get used to having the extra larger chainring for shifting to bigger gears! 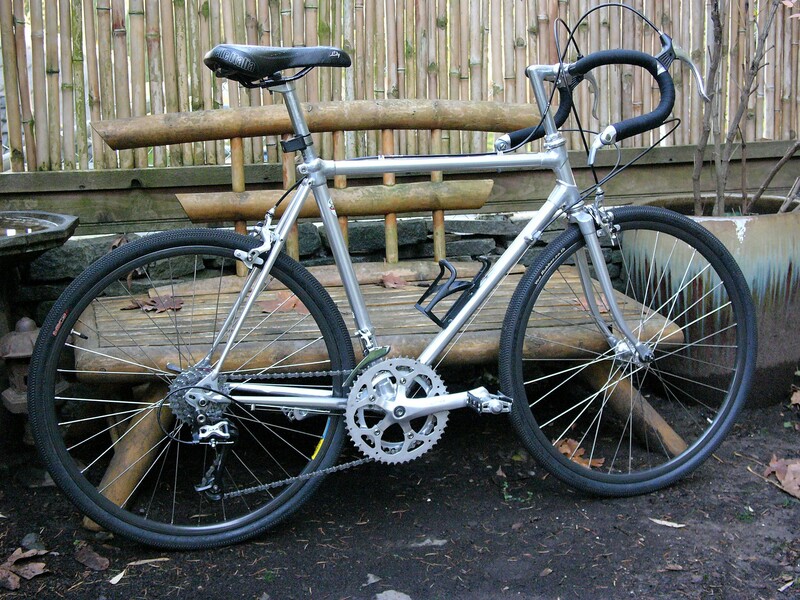 Hailing from the 80’s, this bike’s wheelset is Shimano 600 tricolor hubs laced to 24 inch Mavic Open 4 rims. 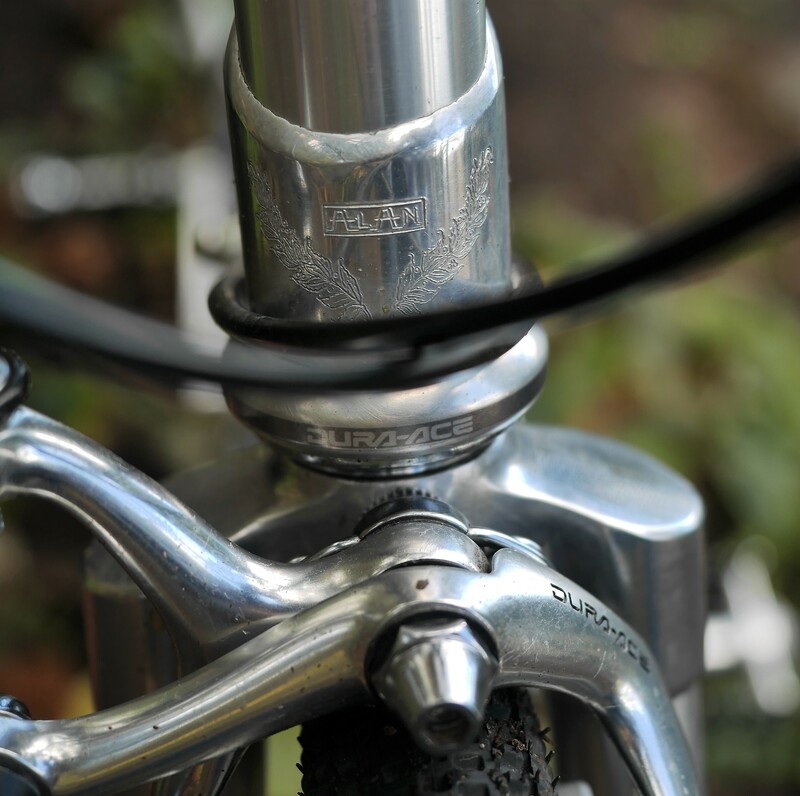 The seatpost is the ALAN spec’d 25.0 American Classic that most early ALAN bicycles were equipped with. 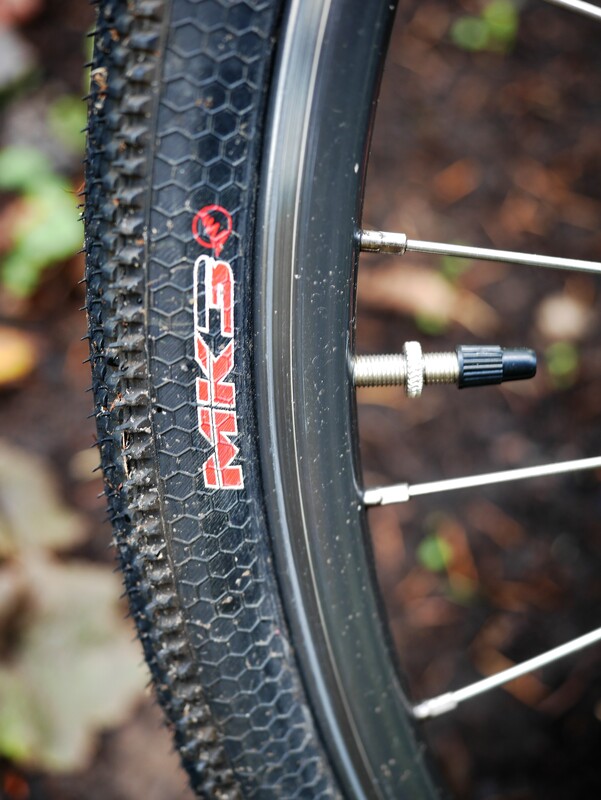 I’m using MK3 Vee Rubber micro knobby tires, which have performed perfectly and with never a flat in the last five years. My no longer available Detours seatpost bag serves as a de facto rear fender, blocking mud and debris from my backside. 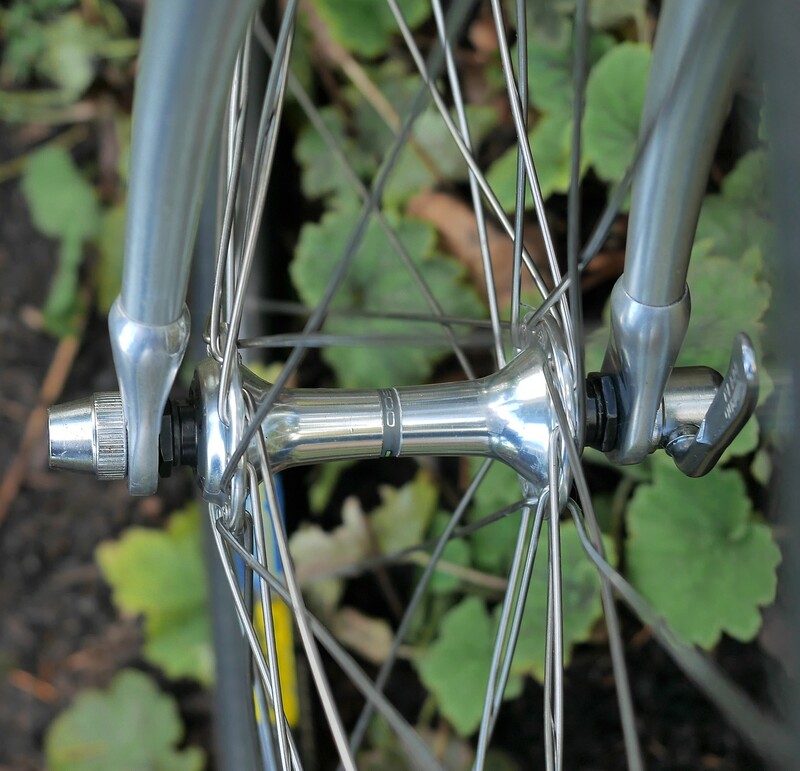 Here is the ALAN as reconfigured, with a double TA 160mm crank, lower and flatter Nitto bars, and Simplex Retrofriction shifters mounted to Velo Orange thumbies. I’m happy with this configuration, and hope to keep riding this one of a kind bike for years to come. 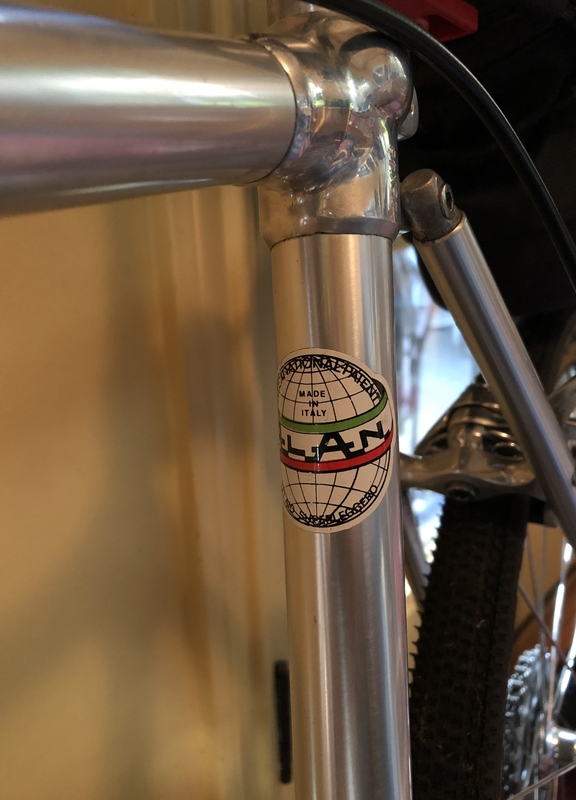 This entry was posted in ALAN bicycle, Bicycle restoration, Cyclocross bicycle, Vintage bicycle restoration, Vintage Italian Bicycle and tagged ALAN bicycle, Dura Ace, Simplex Retrofriction by Nola Wilken. Bookmark the permalink. Great build, Nola! That little beast looks like a great all-arounder. 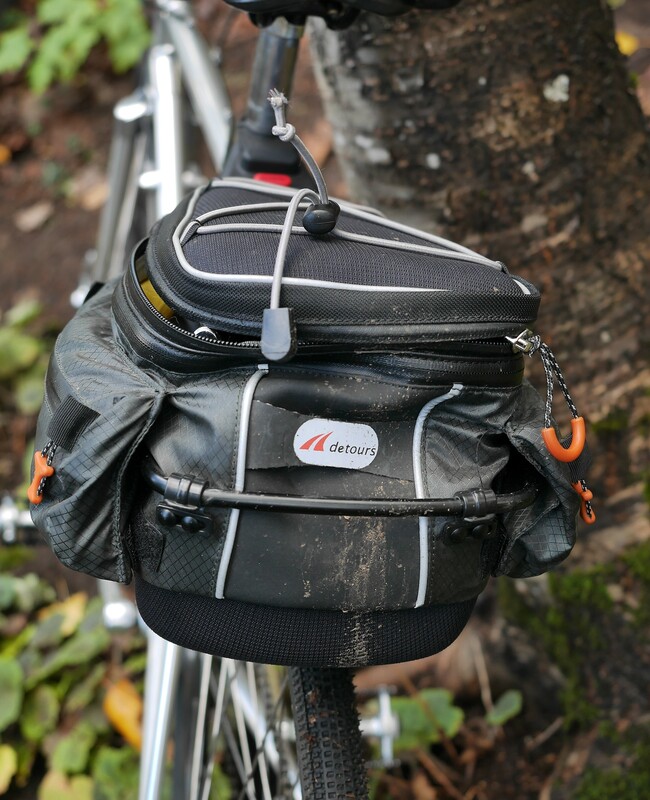 Although I know your seatpost bag blocks some of the elements, I can’t help but think the entire bike must get fairly muddy/dirty with even a single ride of normal city riding without fenders. 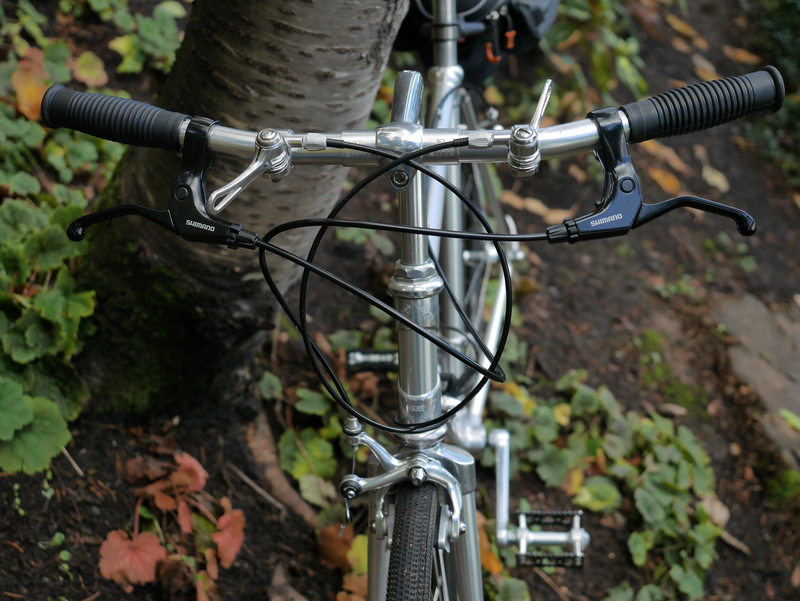 Also, thanks for the review of the Simplex Retrofriction shifters. They are routinely credited as some of the most beautiful and graceful shifters ever created and so they are not surprisingly highly coveted. I had a set for years but couldn’t find a use and was lured by the dollars of eBay (which they paid handsomely) but I’ve always regretted selling them. Your post proved the wound continues to sting! Have fun with the ALAN! 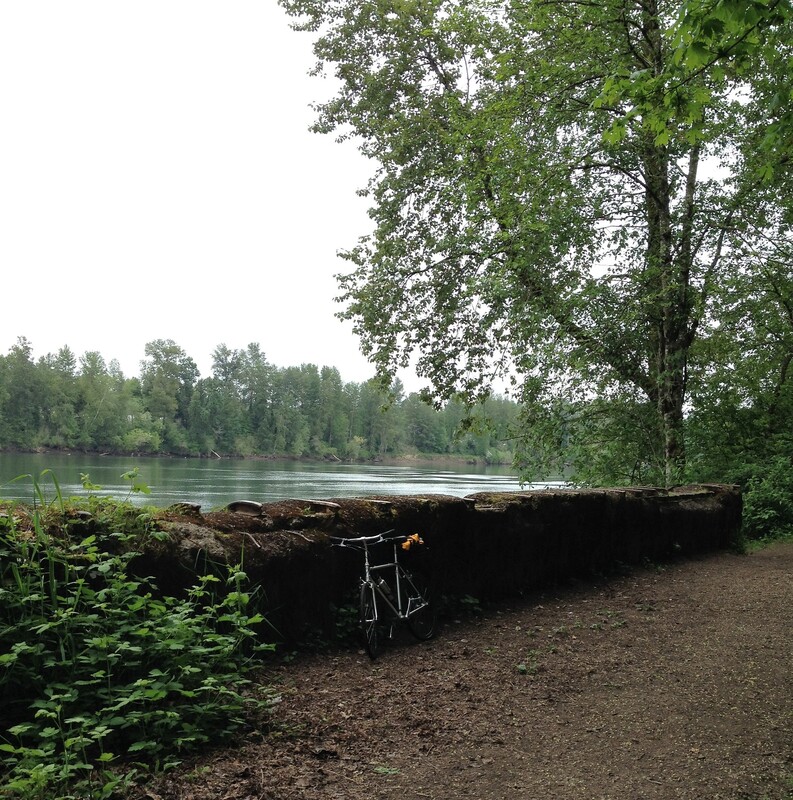 Since I cannot install fenders under the brake bridge and fork crown with these tires, I do gently hose the bike down after any rainy or muddy rides. 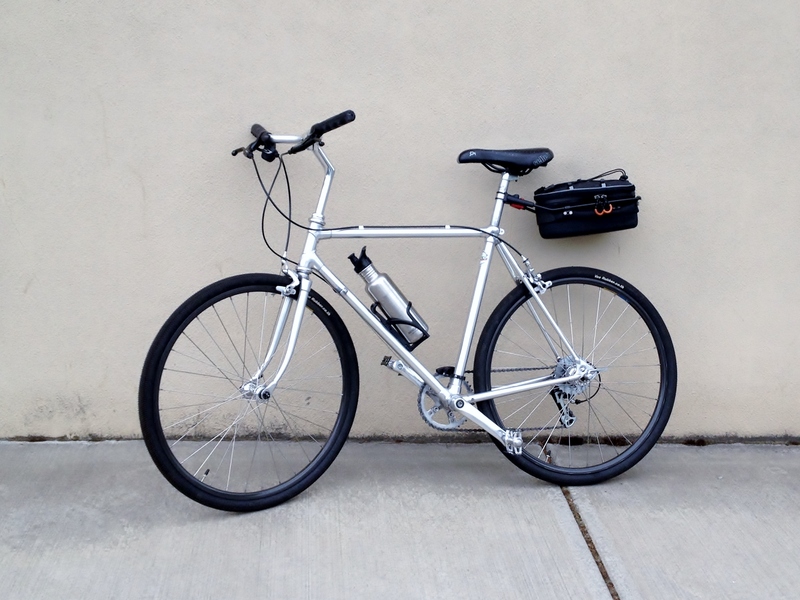 I could install fenders by using narrower tires, but somehow that seems wrong with this bike. With this bike, the steel lugs could certainly rust, and water could get into the BB, but I so much enjoy riding it with these wider micro knobbies that I’ve decided to allocate it to the fenderless category, as you have done with some of your bikes. 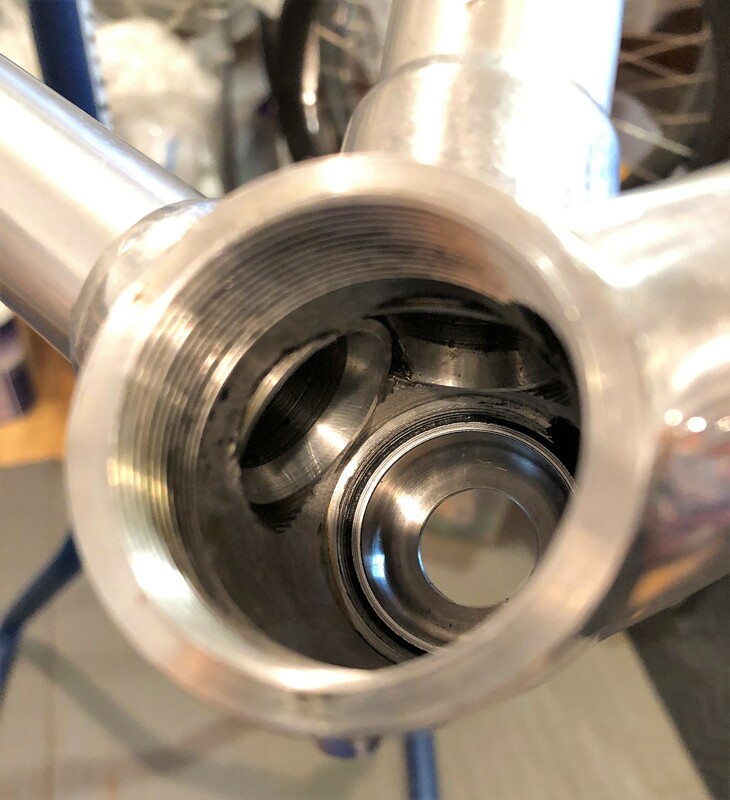 The Dura Ace headset and bottom bracket contain double seals, and when I overhauled them I was amazed at how clean everything remained, even though the grease was dry. So, good components can help out when fenders are not an option, but I also keep the bike cleaned up, as it is way too pretty to show any “buesage”. 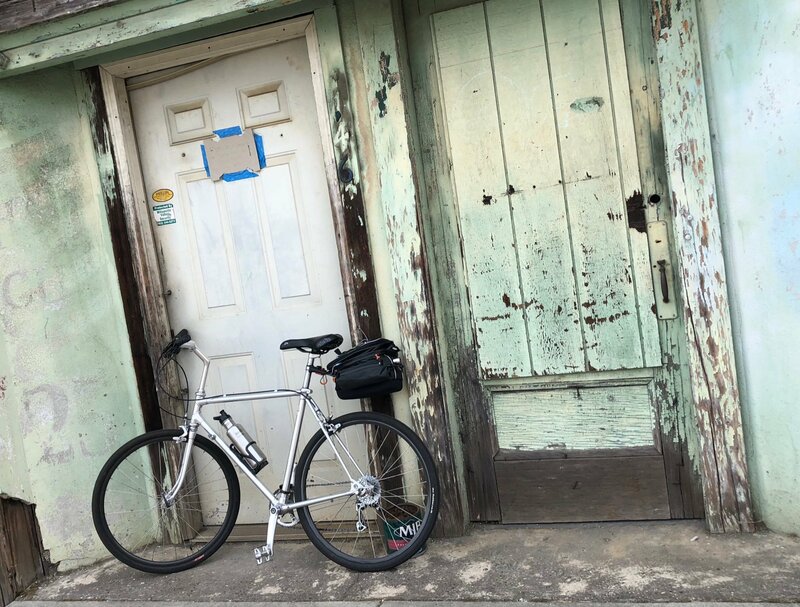 Nola – I enjoyed this write up. Thanks, John. I have the print version of that article. It’s interesting how well the ALAN’s have held up – even those used for ‘cross racing. Cool ride! I am a fan of making a bike fit your needs and I can never see an ALAN with out pronouncing it with a heavy French accent (in my head). Oui! Although the ALAN is of Italian descent, it somehow also seems so French.